There are many reasons that an individual may need the help of our disabled access lifts; whether it’s a temporary injury that makes getting to upper floors of a shop very difficult, older age making moving around a little harder than when they were younger, or a disability that has made getting around near impossible. 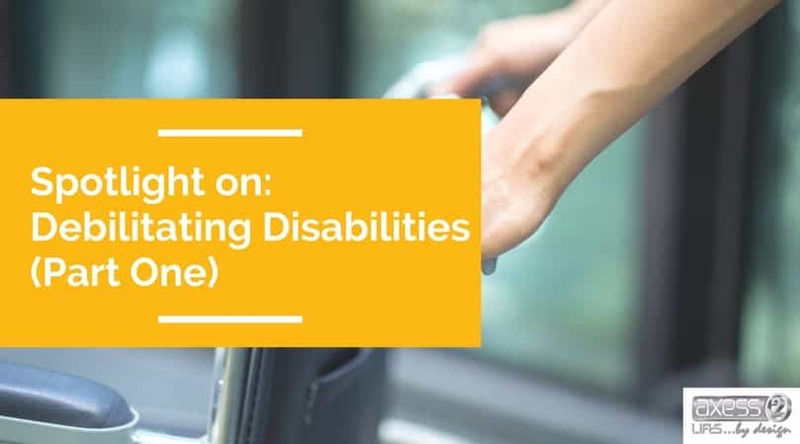 There are so many disabilities that affect many of our clients, and we believe that many of them don’t get enough coverage to make the world aware that these conditions exist. How many of these conditions do you already know about? Around one in 400 children are born with cerebral palsy. The term covers a variety of disorders that are classed as neurological, and can severely affect the individual’s movement. 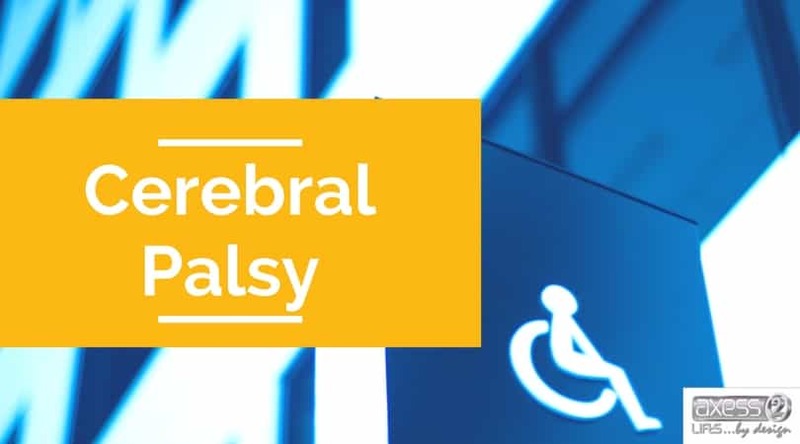 Cerebral palsy can affect people in varying ways, and no two people will be affected exactly the same. This makes treatment very difficult to generalise, and will be conducted on a patient-to-patient basis. Monoplegia – only one limb is affected. Hemiplegia or diplegia: two limbs are affected, usually on the same side of the body, or both legs. Triplegia: three limbs are affected. Quadriplegia: all limbs are affected, and the muscles of the throat can also become uncontrollable. Dyskinetic – present in approximately 15% affected with cerebral palsy. Ataxic – affecting only 5% of people with cerebral palsy. Mixed – people who have a mixture of symptoms from each type. Another condition which can be incredibly debilitating for sufferers is ataxia; a lesser known disorder which results in a dysfunction of the body’s nervous system and therefore affects mobility and movement. Ataxia can be a genetic condition, but there are rare cases which can be caused by other conditions such as hypothyroidism, heart attacks later in life or strokes, but environmental factors can come into play, such as radiation poisoning, or even in very rare cases, alcohol abuse. Finding it hard to perform tasks which require control, such as writing and eating. Idiopathic late-onset cerebellar ataxia (ILOCA) where the brain is progressively damaged over the years for unknown reasons. Another group of conditions that drastically decrease the mobility of their sufferers are the muscular dystrophies. These inherited genetic conditions are primarily focussed on the muscles, causing them to weaken over time, eventually affecting the more important muscles in our bodies, such as the heart and chest muscles, which makes the condition life-limiting. There is no cure available for the conditions under this umbrella term, but there are methods of treatment that can help manage the sufferers symptoms. Muscular dystrophy is a progressive condition and is caused by mutations in the genes which are concerned with the function and structure of the bodies muscles. It is seen as a hereditary condition as most cases run in families, through a faulty gene from one or both parents. More than 70,000 people in the UK muscular dystrophy or a similar condition. Duchenne MD – One of the more common types and sadly one of the most severe. It affects boys during childhood, and the life expectancy of men with this type is only 20-30 years old. Myotonic dystrophy – This type can develop at any age and life expectancy isn’t always affected; this depends on the severity. Facioscapulohumeral MD – a slow progressing type which can occur at any time during life. Becker MD – This is often compared to the Duchenne MD type, but it is less severe and usually develops later in childhood. Life expectancy isn’t as affected as sufferers of Duchenne MD. Limb-girdle MD – a range of conditions which can be either slow progressing or quick and threaten the life of the sufferer. These usually develop during late childhood or early adulthood. Oculopharyngeal MD – more common in people in their 50-60s. Emery-Dreifuss MD – this type affects people from childhood or even early adulthood and can cause the sufferer’s life expectancy to be limited to middle age. These are just some of the conditions that affect our client base, but there are many more disabilities that deserve to be covered. Be sure to check back on our blog and find out more about each one over the coming months.